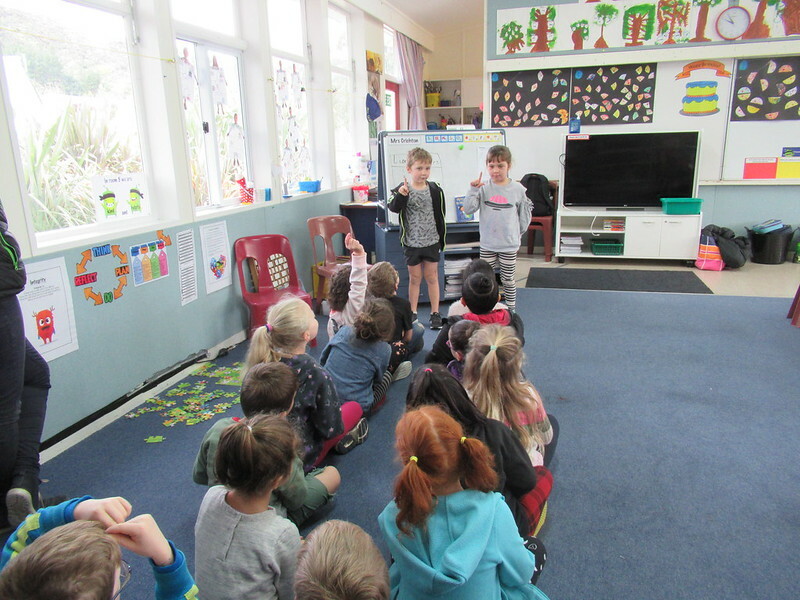 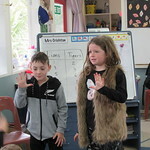 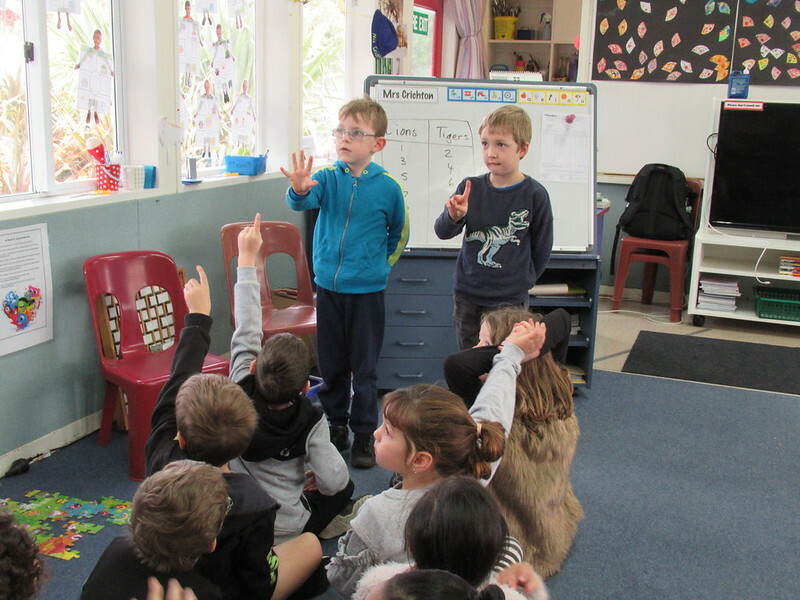 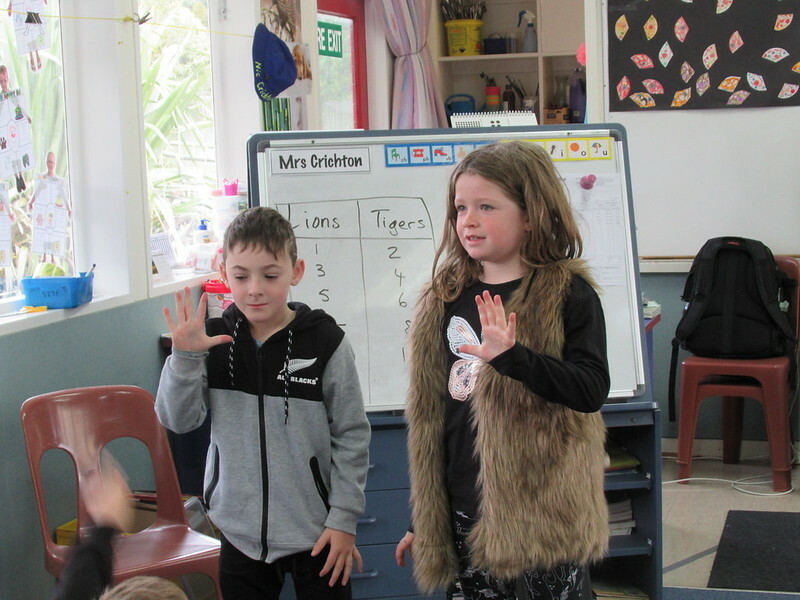 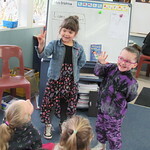 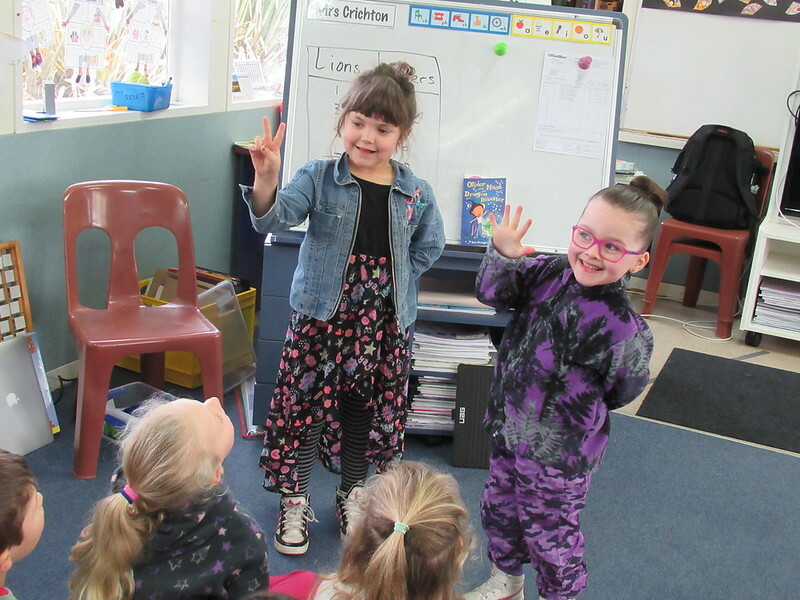 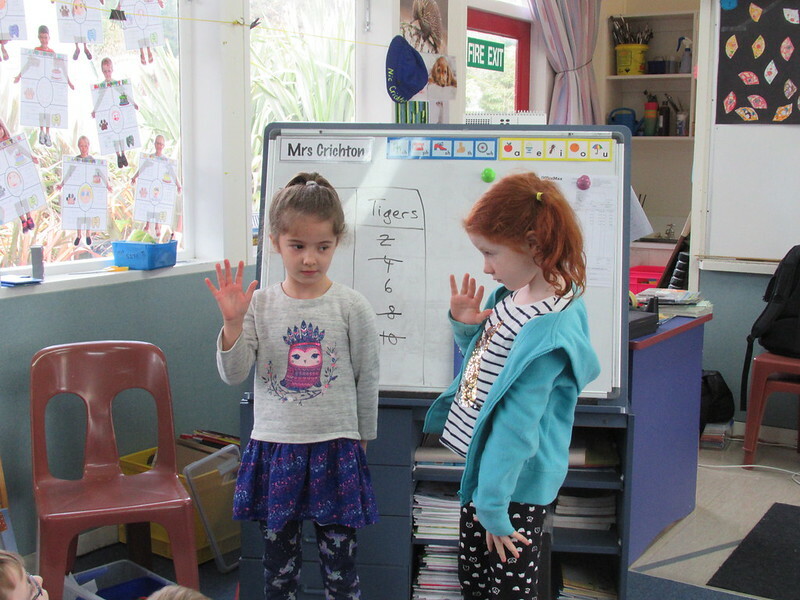 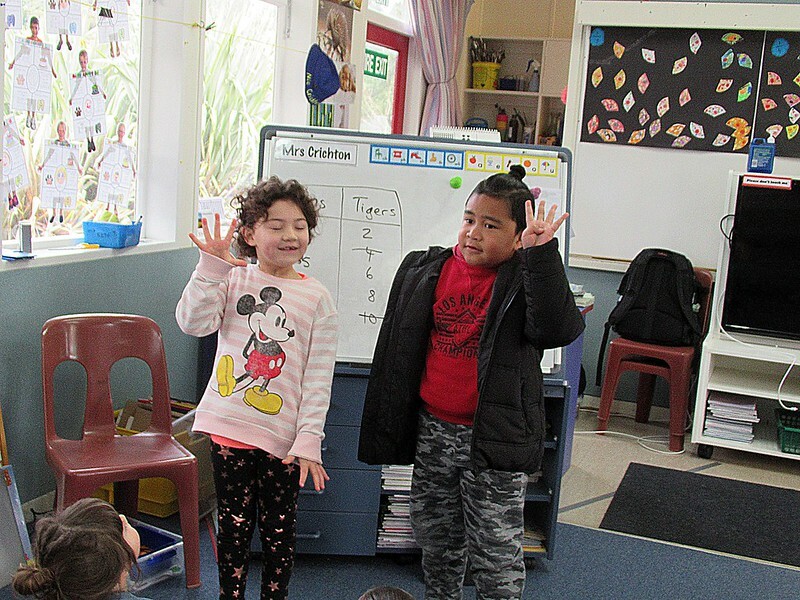 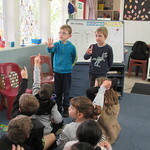 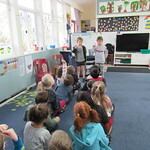 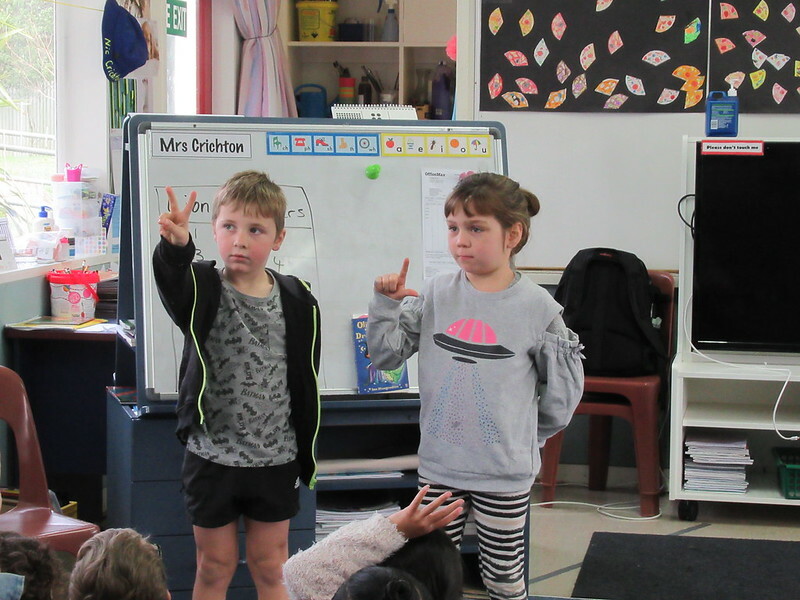 The Maths group in Room 5 spent some time this morning learning to play a great “Paper, Scissors, Rock” type game involving odd and even numbers. 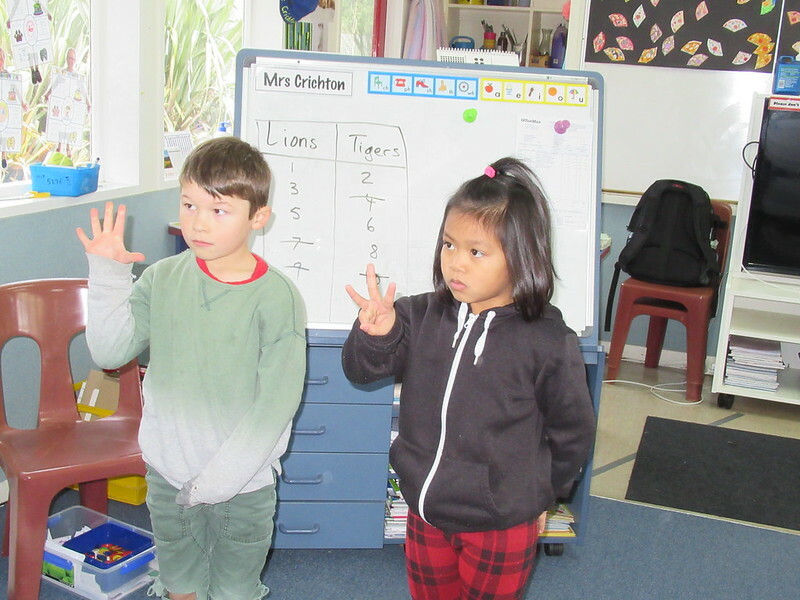 The children were divided into 2 groups, Lions & Tigers. 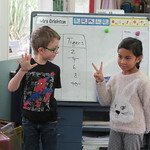 The Lions were allocated the odd numbers of 1,3,5, 7 and 9 on the white board and the Tigers had the even numbers, 2,4, 6, 8 and 10. 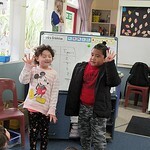 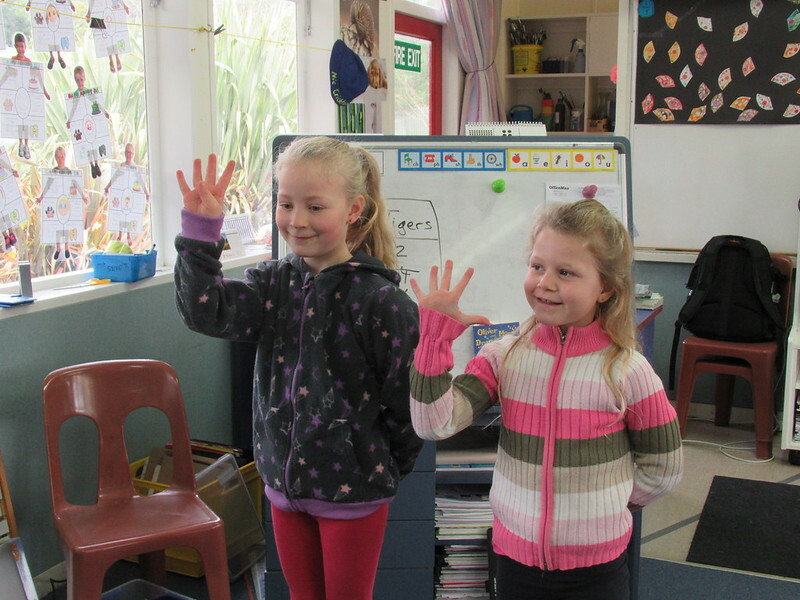 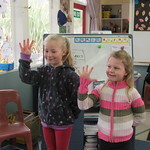 Two children at a time from each group were invited to stand up and make a fist, then on the count of 3 open their fist and hold up either 1,2,3,4 or 5 fingers, or if they wanted to stay with zero, keep their fist closed. 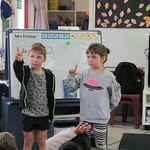 The two were added together and if it was an odd number such as 3, or an even number such as 10, then it would be crossed out on the board. 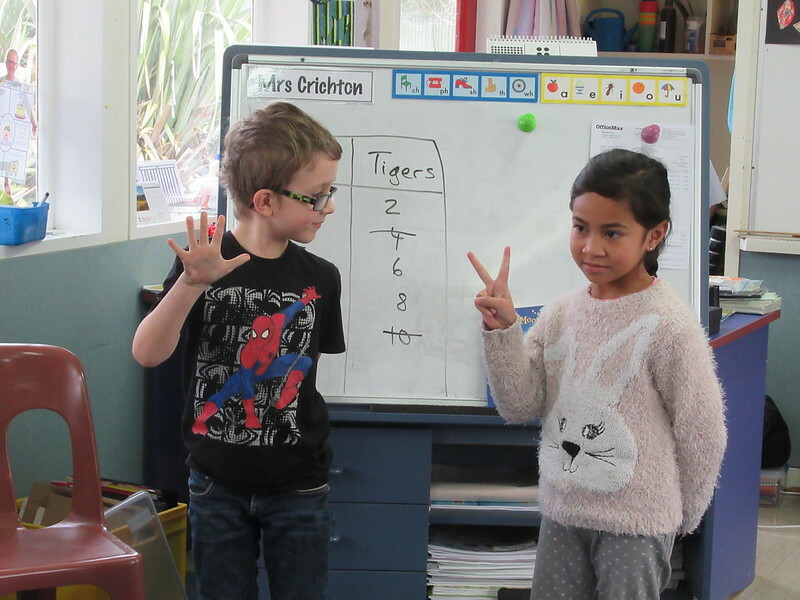 The first team to have all their numbers crossed out won the game. 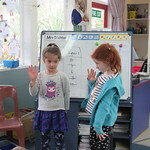 Some of the children got very good at trying to work out what possible numbers they should be playing to win the game.